BROWN MAKES ML DEBUT: Before yesterday’s game, RH Brook Brown (above) had his contract purchased by the Rockies to take the place of injured righty Nick Masset. Brown made his Major League debut against the Dodgers later in the day and tossed 1.2 scoreless innings giving up just one hit and striking out two. Brown became the sixth different Sky Sox player to make his Major League debut for the Rockies, joining RHP Chris Martin, RHP Christian Bergman, LHP Tyler Matzek, LHP Yohan Flande and OF Kyle Parker. C Jackson Williams also received a big league promotion in June, but did not appear in a game. 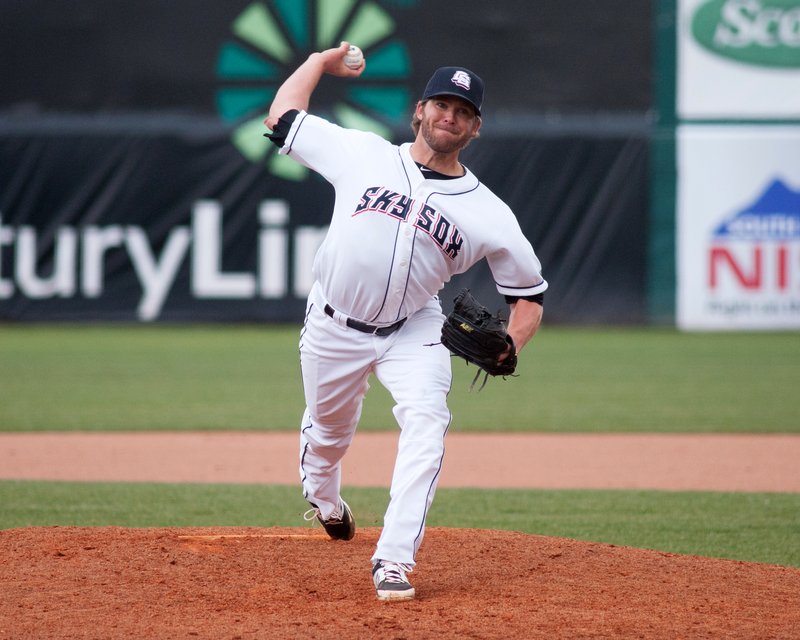 Prior to his callup, Brown was arguably the best Sky Sox reliever in the month of June and July. In 13 games since the beginning of June, Brown had a 2.47 ERA (18.2 ip, 5 er) and stranded 7-of-9 inherited runners (78 percent). CAPUANO JOINS SKY SOX: On Saturday, southpaw Chris Capuano made his Sky Sox debut with four strong innings, allowing just two hits while striking out two and walking zero. The 35-year-old veteran signed with Colorado on July 5th after starting the season with the Boston Red Sox. In 28 games, Capuano went 1-1 with a 4.55 ERA (31.2 ip, 16 er) before parting ways with the reigning World Series champs. Capuano is an 10-year Major League veteran and has won 10 games on four separate occasions, including 18 games in 2005 with Milwaukee. He also was a 2006 NL All-Star. CAR-GO BEGINS REHAB: On Monday, the Colorado Rockies announced that All-Star and Gold Glover Carlos Gonzalez (left) will begin his ML Rehab with the Sky Sox while they’re on the road in Round Rock. Gonzalez went on the DL in June after having to have a tumor surgically removed from his left index finger. Gonzalez has made three stints (two rehab assignments) with the Sky Sox in the past. In his two rehab stints (‘11 & ‘13) played in five games, and went 4-for-16 with zero XBH and zero RBI. 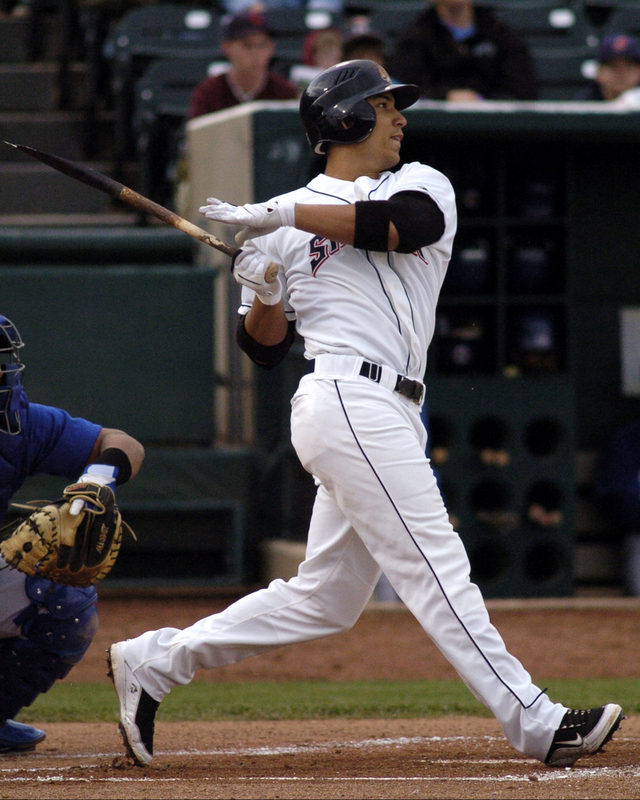 He also spent 2009 with Sky Sox before being promoted to the Rockies for the first time. In 48 games, he hit .339 with 10 homers and 59 RBI. He is a three-time Gold Glover (‘10, ‘12, ‘13) and two-time All-Star (‘12 &’13) and is the only active player with four-straight 20HR/20SB seasons. The Rockies acquired Gonzalez in the trade that sent Matt Holliday to Oakland on Nov. 12, 2008. HOT WHEELZ: In his 12 games since being activated off of the DL on 6/17, Tim Wheeler is hitting .326 (14-for-43) with 10 runs, a triple, four doubles, 11 RBI, nine walks and 10 strikeouts. SERIES WIN: With the series win against Omaha this weekend, the Sky Sox now have back-to-back serie victories since July 2013 when they beat Reno, 3-1, from July 4-7, and beat Sacramento, 2-1, from July 8-10. The last time the Sky Sox won three straight series was from May 3-14 when they beat Fresno, Iowa and Omaha all three games to one game. SEND ME AN ANGELYS: Sky Sox infielder Angelys Nina is on fire at the plate. After going 2-for-4 last night, Nina now has five straight multi-hit games, which is tied for the longest multi-hit streak on the team this season (Jason Pridie, 5/7-5/11). In his last five contests, Nina has driven in eight runs while batting .524 (9-for-17) with two doubles and three runs scored. Since the start of June, Nina is hitting .304 (38-for- 125) in 31 games and has four homers, 11 doubles, 23 RBI as well as 13 multi-hit games. In the first two months, Nina was just hitting .209 (18-for-86) in 29 games with a double, three triples, 11 RBI and just five multi-hit affairs. FIVE-IN-A-ROW: With their win Saturday, the Sky Sox won their fifth straight game which is now the longest win-streak of the season for the club. They are now 5-1 in July The last time the Sox won five consecutive games was from May 22-26 of 2013. 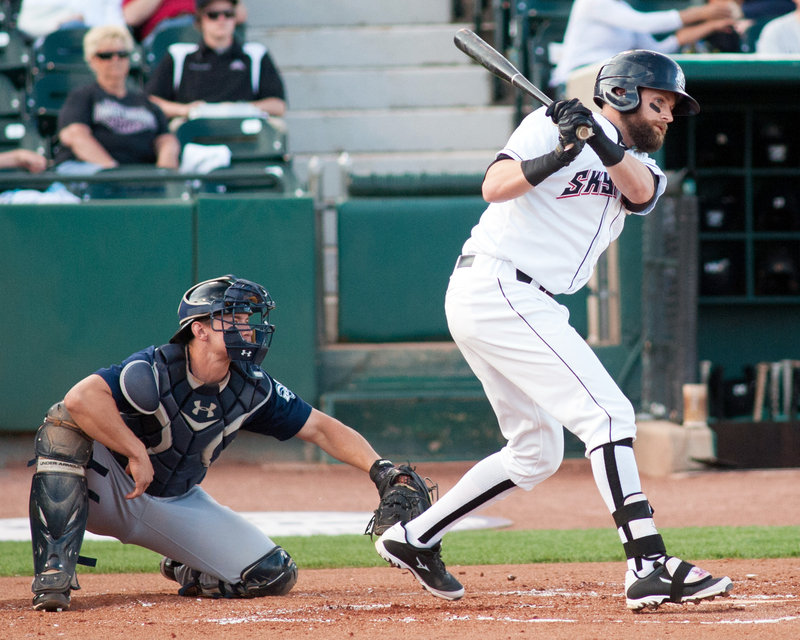 TRIPLE-A ALL-STAR: The Pacific Coast League announced the 2014 All-Star team, and the lone Sky Sox representative this season will be 1B Ben Paulsen (left). Paulsen will be making his first Triple-A All-Star appearance and his third All-Star appearance overall as he was also named a Mid-Season Texas League All-Star in 2011 & 2012 while with the Tulsa Drillers.